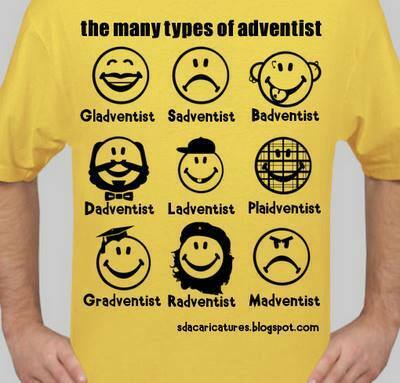 One of my friends posted this picture on Facebook today, asking, “What kind of Adventist are you?” I had to say “sadventist” today, considering the church service I’d just been through this morning. 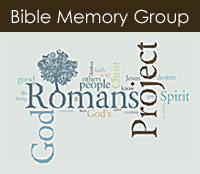 I was looking up Bible promises I wanted to memorize, when about fifteen minutes from the end of the sermon, he said, “I didn’t intend to bring this topic up today, but I feel like God has put it on my heart to share my concerns with you.” Not thinking much of it, I listened as he started listing the dangerous decisions the church was facing. This was before the election of 2012, when gay marriage was on the ballot, so I wasn’t surprised when that was one of the issues he mentioned (I hadn’t decided how I’d stand at that time, so was interested in hearing what he thought). He named a couple of other issues I can’t remember now, and then brought up the topic of women’s ordination. I grew up in New England. Very conservative, but we did get a husband and wife team as pastors when I was a teenager, and I remember thinking at the time it was a shame we didn’t have women pastors, because the sermons the wife (seldom) preached were interesting and usually helped me see God in a way I hadn’t thought of in the past, because her viewpoint was different. We also had the first Adventist woman pastor as the youth speaker one summer at campmeeting, and she mentioned how sometimes she was looked down on because she was a woman pastor. But I hadn’t really thought a lot about the women’s ordination issue in the Adventist church until this summer Sabbath in Minnesota, years after both of those events. 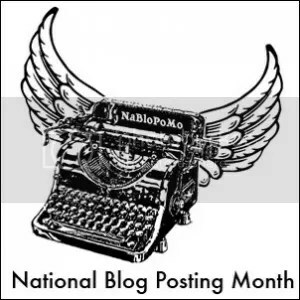 This day, I was literally stunned at the flood of hurtful language that ensued. None of the other topics he’d mentioned, though obviously serious to him, had gathered this level of reaction. Among other things, he stated that any woman wishing to be ordained (or anyone who supported said woman in any way) was apostasizing and would not be saved. He also stated (wrongly) that God never called any woman to be any kind of church leader or prophet (I could think of five off the cuff from the Bible, let alone Ellen White, our church’s prophet, whom I know he supports). This vituperation went on for about ten minutes; then he seemed to realize he’d been off topic and went on to wrap up his sermon. I can’t remember what the topic was, but he was completely off. I was really angry while he was talking, upset that he was equating a woman wanting to serve God as a pastor with Sabbath-breakers, homosexuals, and people cheating on their spouses (I think those were the other three topics), and hurt that he would consider said woman apostate for daring to poach on a man’s territory. I was also annoyed at his wrong statements, but it was the apostasy card that changed my feelings from anger (I was about to get up and either walk out or tell him to be quiet) to sadness. About the time it really sank in that he was in effect barring over half the population of the church from ever filling a very important role (to a chorus of amens from members, some of whom were women! ), he’d begun his belated wrap-up and I had to go play the closing hymn. As they were singing, I suddenly realized that, to him, all I was good for in the church was playing the organ and helping with potluck. Never mind I’d been one of the Sabbath School teachers for over a year at this point; to him I was most likely out of line in leading a Sabbath School. I felt dismissed by the church I’d grown up in, dismissed to a lower position simply because of my gender, and as if no real contribution of mine would be accepted — not only not accepted, but if I ever tried to make a serious contribution to the church in any way but the acceptable ones, I would be labeled apostate and (in his mind) be headed for hell. I came from anger that he would so cavalierly dismiss the brains, hearts, and dedication of one-half the population to grief that I was effectively barred and hedged into a limited role. I have never, before or since, wanted to be a pastor, so I cannot understand why I started to cry as if something precious had been ripped away from me. All I can say is that I felt dismissed, betrayed, and forced into the ultra-supporting role of Woman in a Man’s World by the church I believe holds the most truth of any church today. I wept because I felt dismissed as worthless, because I felt betrayed by a church I thought would support the full development of every member’s spiritual gifts, and because I felt myself being pushed into the small and stifling box of The Woman’s Place by a God who was supposed to give me freedom and life abundant. I found out later, after Kent took me crying out the back door of the church and we went home, that about half the members disagreed violently with him and there was a big argument at potluck. The next weekend our resident pastor preached a sermon on the Biblical support for this other person’s standpoint, and he was everything that was tactful and well-thought-out. The pastor was (still is) also a personal friend, and though I still cried because I again felt betrayed, if his sermon had been the week before, I would not have been affected in that way. He was gentle, albeit convicted, and his sermon was not one to raise the ire or the sensibilities of those who disagreed. He also did not condemn those of us who disagreed and the word “apostate” was not mentioned. I did not feel excluded from service; I was simply sad that a friend would take a stand so divergent from mine on what I felt was an important issue. I knew that he often sat in my Sabbath School class (the other person never has and hardly speaks to me — apostasy maybe rubs off?) and respected me as a leader, and that might have helped me not feel stifled as well. In the end, we agreed to disagree with no condemnation on either side. Since then, though, this has been a sore point for me. I had never liked to sit through this other person’s sermons, simply because they weren’t very good (as on that day, he mistakes conviction for scholarship), but now every time he speaks, I find myself wanting to leave before I get attacked. It’s been nearly two years now, and I have been trying to cultivate a Christ-like attitude toward him; I was contemplating giving piano lessons to his oldest son, and I try to say hello when I see him at church. It’s difficult, but I have stopped ducking downstairs or just skipping church when I see he’s on the docket to speak. I thought I could just, like my pastor friend, agree to disagree with him on this issue. After all, I’m not planning to be a pastor myself, so I need to be less thin-skinned, right? Today, we walked into church and he was on the platform. I sighed, looked through my bag for my cross-stitch (which I’d left at home), and resigned myself to a meandering sermon that hopefully had some acquaintance with an actual point. He had been getting better, so maybe today wouldn’t be so bad. He was preaching on Nehemiah. No women pastors there, so that should be ok. I got out my legal pad to take notes on blog posts if I needed to be distracted. Not fifteen minutes into the sermon he brought up the topic of women’s ordination, again couching it as apostasy and equating it with actual commandment-breaking. I tried to distract myself with poking holes in his logic (there were several, including the fact that some of his examples actually contradicted the points he was trying to make, which was amusing, and that he tended to oversimplify or use false analogies to prove his points, which weren’t actually false in themselves). At some point, though, I felt the disapproval, the worthlessness, the small box closing in, and I reacted the same way I had two years ago — I cried. Call it an emotional female reaction, use it as an example of why women shouldn’t be in positions of power, but I do not understand why I react this way. Today, things are different than two summers ago. The Adventist church in North America has made steps toward accepting women’s ordination, and I now know that much of the church in North America supports the idea and feels it is long past time (as I do). I still do not have any desire to become a pastor, but I do not feel that if I did, I would have no pulpit. But I still reacted in the same way. I still felt the word “apostate” like a slap to the face, and inwardly recoiled at being lumped with someone who denied the Sabbath or who engaged in extramarital affairs or non-Biblical sexual acts, just because I believe that women should be able to be pastors. It was ironic, this sermon coming today, because I had just last night posted on Facebook as a joke someone’s list of ten reasons why men shouldn’t be pastors. Maybe this person saw it; I don’t think I’m friends with him on Facebook, but maybe that prompted this attack today. Kent said I should write out what happened and try to understand why I am so hurt by this. I know some reasons why — I don’t like being told I can’t do something. I don’t like it when people beat others over the head with the Bible to prove a point that isn’t a salvation issue. I don’t like it when people make things a salvation issue when they’re not. I don’t like being made to feel like a second-class citizen just because I don’t have a Y chromosome. I don’t like being told that I’m a bad Christian/Adventist/daughter of God because I believe women should have an equal right within the church. I don’t like being fobbed off with the false palliative “We aren’t telling women they can’t take part in the church, even preach if they want, just that we won’t ordain them”. Yes. The church will “commission” women, but not ordain them. I don’t like my church being hypocritical. We say we follow the Bible, but in this instance, I feel that we are following the worst traditions of man. I know the texts people use to support their sides on this issue, and I’ll let you in on a secret: They. Are. The. Same. Texts. And if our church can believe in a modern-day woman prophet (never mind the ones in Bible times — Deborah, Miriam, Huldah, the five daughters of Phillip, and Anna the seer, to name ones off the top of my head), why can’t we accept a woman pastor? Is it because all these unnatural women are safely in history, not prancing about exposing their thought processes to unsuspecting potential apostates? I’ll try not to be too snarky, but I’m still annoyed. I thought we were well past this as a nation and culture, and I know that our church is sometimes considered behind the times because of our conservatism, but I thought we were more accepting of women than to continue to limit their role. And we are, some of us. There are ordained women in our churches in California and other states. So why do I continue to be so disturbed by what is, after all, a layperson’s opinion on an issue that doesn’t actually affect me? I don’t know. Maybe because it is a symptom of an ongoing problem with society to still consider women some sort of second-class citizen, to criticize everything we do and every choice we make, to pay us less, to penalize us both for having children and for having careers instead, to pawn off our opinions on how we’re treated as “emotional ranting”. I watched this video last week about how white people can help to stop racism, and I understood exactly where she was coming from. If the black woman in the video had stood up for herself, she would have been considered an “angry black woman”, much like any woman who talks about gender inequality is considered a man-hating feminist. But since the white woman next to her spoke up, something happened. Maybe that’s another reason I am upset that a seemingly well-educated and nice man would be so vituperative in such a patriarchal way. Because as the majority ruling voice in this case, men should stand up for women’s rights. Because change often doesn’t happen until a majority demands it, doesn’t happen when the oppressed minority speaks out. Because I expect better from my church than to stay stagnated in an oppressive, outdated stance left over from a Middle Eastern society over two thousand years ago. Because I want to know that, should I ever decide that I want the pulpit, my well-meaning fellow church member will step off his soapbox and let others have a chance to speak out.